a power or process that changes or transforms something in a mysterious or impressive way; a power or process of transforming something common into something special; an inexplicable or mysterious transmuting. During my time in Seminary I decided to study all of the occult, metaphysical, and shamanic traditions I have been fascinated with since childhood—determined to fulfill my purpose of creating programs and books to help others transform their lives. While studying, I focused heavily on the Shamanic practices across cultures (please see my book Within the Sacred Circle for more information), as well as plant medicine and Alchemy. I was trained by Shamans from different cultures, including Hank Wesselman, Ph.D. who initiated me into the practice of Shamanic Extraction and Soul Retrieval work. During my final year in Seminary I began to write my first book Within the Sacred Circle: An Interfaith Guide to Shamanic Tools and Rituals of Transformation, and went through continued training to become an herbalist. 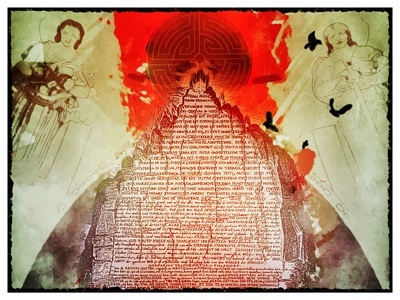 During all of this I immersed myself in the wisdom of Alchemical traditions since their inception in Ancient Egypt. In these three disciplines I saw cross-overs, undertones, and cross-cultural wisdoms that they all shared. After school I undertook the process to create the 7 Planetary Elixirs based on primordial herbal and Archetypal wisdom. This process was my final initiation! I now offer you the wisdom I gathered in the books I write, the workshops I offer, and the coaching I provide. 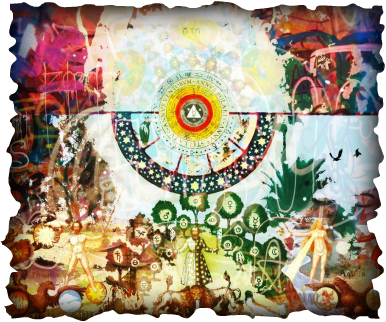 Sacred Circle Alchemy - Alchemical Transformation Coaching© and Sacred Circle Alchemy - Alchemical Transformation Workshops© are the combined wisdom of all three of these traditions distilled down to help you on your path to healing and wholeness. It combines shamanic practices, herbal knowledge, and internal alchemical processes to help you identify where you need to grow, determine how to make those changes, and then implement your own Great Work. An 8-Month process where you work together with a small group of peers to go through the 7 Alchemical Stages and use the Planetary Elixirs to transform your life. Rev. Pamela has been teaching these classes since 2015, with classes in Long Beach, Lake Arrowhead, and currently in Agoura Hills, CA. The current series is full and started in early 2018. I will be moving to the Inland Empire mountains in January and plan on starting another series in February 2019, in Crestline, CA. If you are interested in signing up, or would like further information, please fill out the form at the bottom of this page. Be sure to reserve your space--as space is limited. Are you more solitary in your practice? If so, I completely understand and am here to help. Do you live outside of Southern California and would still like the opportunity to do this work? Well then, this process may be for you. Alchemical Transformation Coaching© is an at-home study course, mixed with 8 Spiritual Directions sessions with me over an 8 month period. During which you will have the opportunity to examine your core issues, find the solutions to start changing them, and go through the 7 Alchemical Stages to transform on your path to healing and wholeness. Regardless of if you attend the Workshops or receiving the Coaching, the tools are the same: the 7 Planetary Elixirs, The Great Work Guidebook: 7 Stages to Healing and Wholeness, and the Alchemical Mandalas. 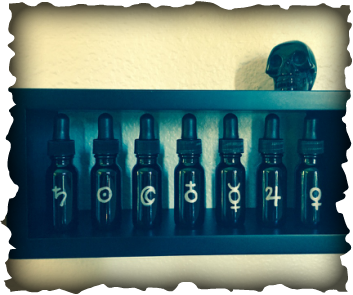 These Elixirs (alcohol based herbal tinctures) have been developed to help you meet with the 7 Archetypal Guides (Saturn, the Sun, the Moon, Mars, Mercury, Jupiter, & Venus), to identify what your core issues are, and then be led by these deeply-transmuting ancient forces to create change. You are provided with 7 bottles--each bearing the Alchemical Symbol of the 7 Planets. They are taken over the course of each week and have the power to create a metamorphosis on every level of your being. As you use them you will become intimate with the 7 Archetypal Guides who will lead you on your journey. The two-month process by which these Elixirs were made took over 100 hours per elixir--whereby specific herbs were put through the 7 Alchemical Stages to perfect them to their ultimate magical potency. 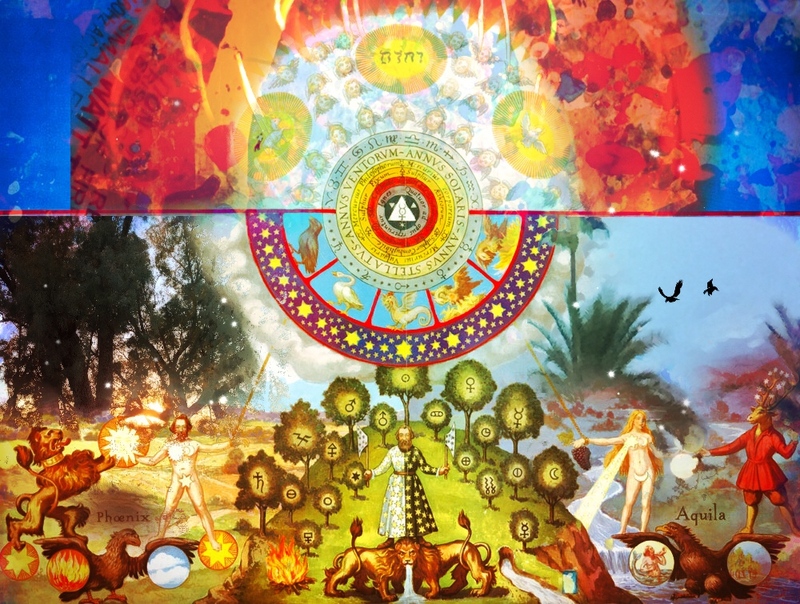 During this time prayers and Archetypal energy were infused into them through ancient techniques. The Great Work, the Magnum Opus, is the penultimate process in Alchemy by which something is distilled down to its most perfect form. 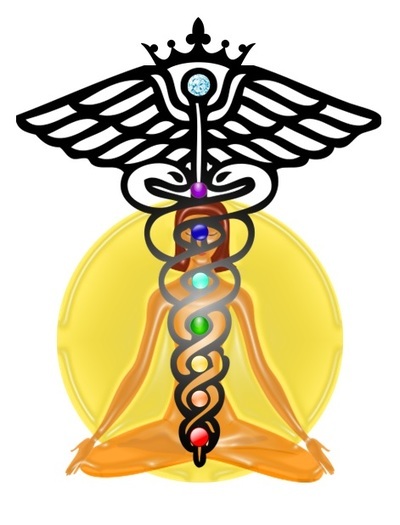 We have all heard of the ancient alchemists, "Turning Lead into Gold"--while it is very possible that the transmutation of metal was actually undertaken, this phrase has more to do with the perfection of the Soul. Through a series of complex Stages, the Alchemist burns away the bad matter within, and from it's ashes - creates Wholeness. For this process you are provided with a Guidebook that includes both daily and monthly work. Starting with the New Moon each month, every Stage includes instructions, worksheets, and rituals to perform. The first month introduces you to the 7 Planetary Archetypal Guides, instructs you on how to use the Elixirs, and takes you on a journey of self-discovery. The remaining seven months are dedicated to the 7 Stages. 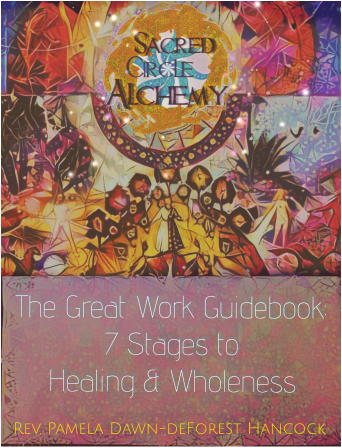 This beautiful Workbook, The Great Work Guidebook: 7 Stages to Healing & Wholeness, is provided so you can advance through the Alchemical Stages with ease and confidence. Additional supplies are provided as needed. The final items that are included are: Alchemical Mandalas - Art pieces to use in various forms of meditation. These visual aids assist you in visualizing the inner work you are performing during meditations and rituals. They can be used as altar focal-points and Vision Boards to inspire you during the day. They come printed as a set of cards in a carrying box and are ready for display. Each Cycle is 8 months in length. Are you ready to perform your Magnum Opus? ​Please contact me below for more information.